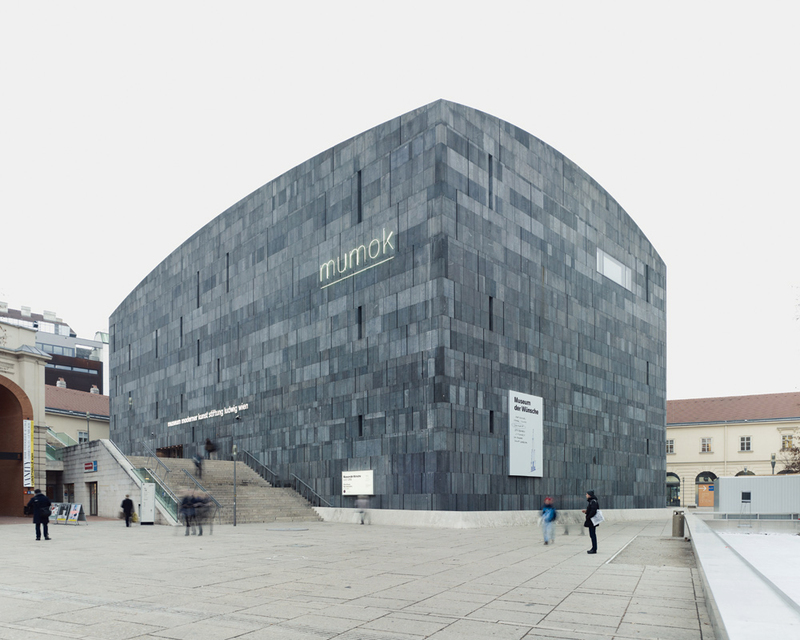 The striking dark grey cuboid structure clad in basalt stone in the middle of the MuseumsQuartiers Wien houses an unusual collection featuring important works from Classic Modernism, Pop Art, Fluxus, and Viennese Actionism to present-day film and media art. From Pablo Picasso to Andy Warhol and Franz West, the collection and special exhibitions represent a blend of tradition and experiment, past and present. The mumok cinema explores film in the context of visual art. A broad range of educational programs for adults and children ages four and up, a library, the mumok restaurant, and the mumok shop complete the range of offerings for visitors.